Why Are My Water Booster Pumps Not Keeping Up With Demand? Water booster pumps and systems are essential pieces of equipment in food and beverage facilities. They supply the water to clean and sanitize production areas including raw product intake, manufacturing, filling, and load out, ensuring the product that leaves the facility is safe for consumption. 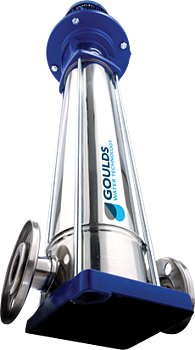 But many of today’s water booster systems are challenged to meet today’s requirements, delivering far less pressure than needed to effectively clean production areas. What causes this, and what can be done about it? The biggest cause of the water pressure shortage is building expansions. As facilities grow and add more areas that require sanitation, more demand is put on the pumps and systems. They work at their maximum capacity to deliver what is being asked of them, but it’s never enough. When water boosters can’t keep up with demand, an array of issues ensue. 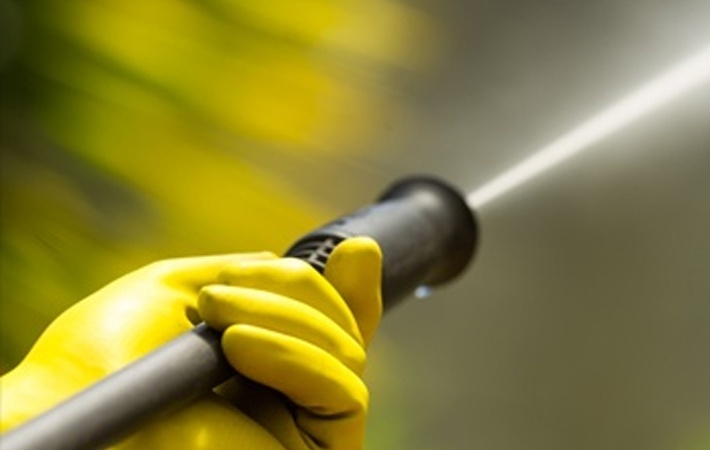 Lower pressure means less effective cleaning, which leads to more water being used to get an effective cleaning. All that additional demand for water puts a strain on the equipment, opening the door to greater failure rates, downtime, and increased maintenance costs. If the system you’re running today isn’t keeping up with demand, you have a couple of options to fix it. If you have a good, basic water booster system that generates the proper flow you need, but lacks in pressure, it is possible to add a booster pump to it. However, be careful! Changes you make could affect other parts of the water distribution system. Things can get complicated in terms of proper operation and control. Be sure to get an engineer involved if this is the route you’ll take. If your pressure booster system isn’t keeping up with demand, and it’s more than 10 years old, you’re missing out on some great technological advancements. 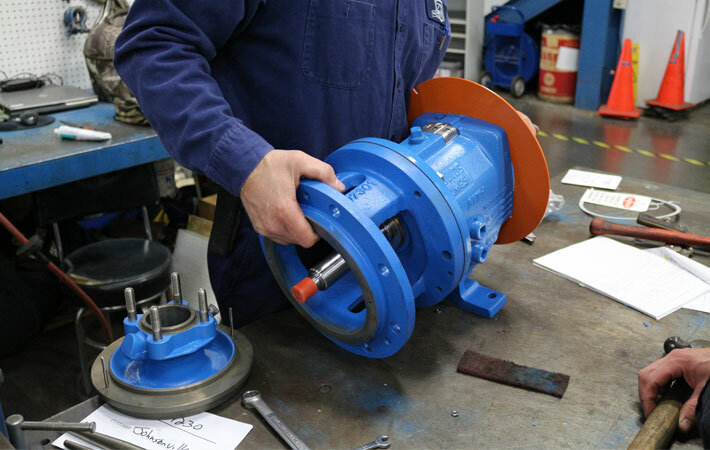 Multi-stage centrifugal pump technology has evolved to cover a wide range of flow and pressure requirements. 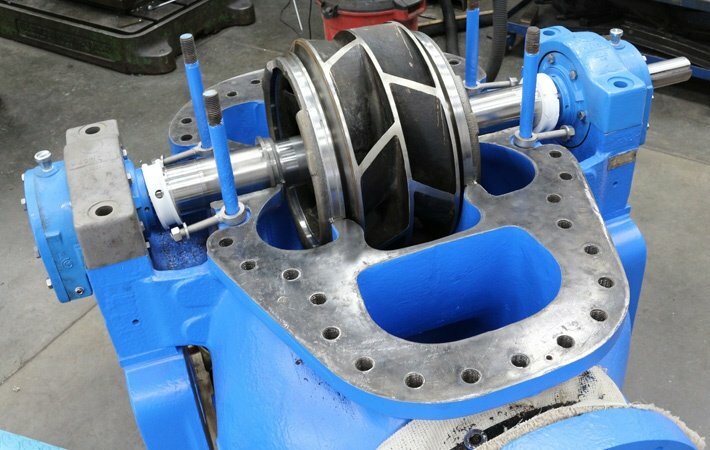 Operating several pumps in parallel covers a wide demand in flow, and power consumption; plus wear and tear on equipment can be kept to a minimum. Smart variable frequency drives are available that communicate and provide parallel pump operation based on demand without the use of a PLC to operate the system. 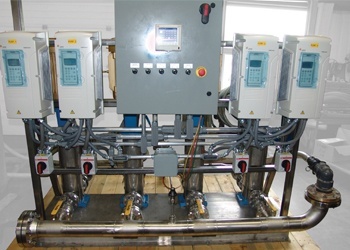 The lead and lag pumps also cycle in this type of a system to equalize the run time. A pressure transmitter is used in conjunction with the VFD to maintain constant pressure. The smart VFD also calculates flow within 2% eliminating the need for a flow meter. Another benefit to smart VFDs is that they can call attention to excessive water demand due to a downstream problem. Although they run unattended, newer systems also allow you to monitor water and power consumption, system performance, and upset conditions 24/7. 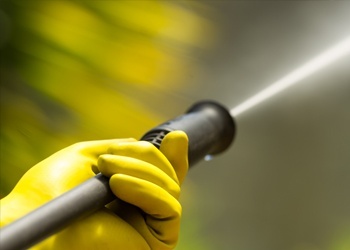 Running a booster pump or system that doesn’t help you meet your cleaning and sanitizing goals is risky business. Not only that, it could be causing your maintenance budget and excess water to run down the drain. Before you make a decision on where to go next, give your facility and system a complete evaluation. Understand the procedures that occur and what their needs are under normal operating conditions, and also consider future expansion possibilities. Proper planning today will help you avoid pressure problems down the road. Not getting enough pressure from your water booster? Ask us about it! 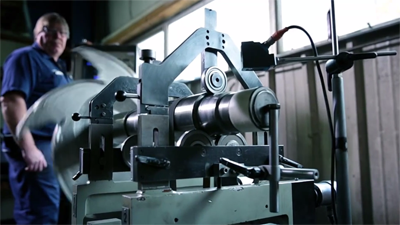 We’ll help you find a solution that’s right for your facility and process. Mike Baxter is a Professional Engineer, and the National Accounts Manager for Crane Engineering. 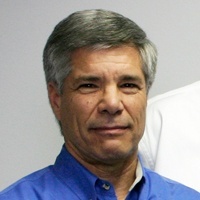 He has over 35 years of experience in chemical, pulp and paper, food and beverage, power generation, OEM, as well as water and wastewater industries. His focus is on assisting customers with fluid process needs, including pumping, filtration, mixing, and packaged skid systems.